I must say, I am very inspired by Burberry's spring 2012 RTW collection. It is, quite simply, a lot of fun. I love all the colours, the patterns, the beadwork... it all feels kind of crafty and down-to-earth, almost DIY. 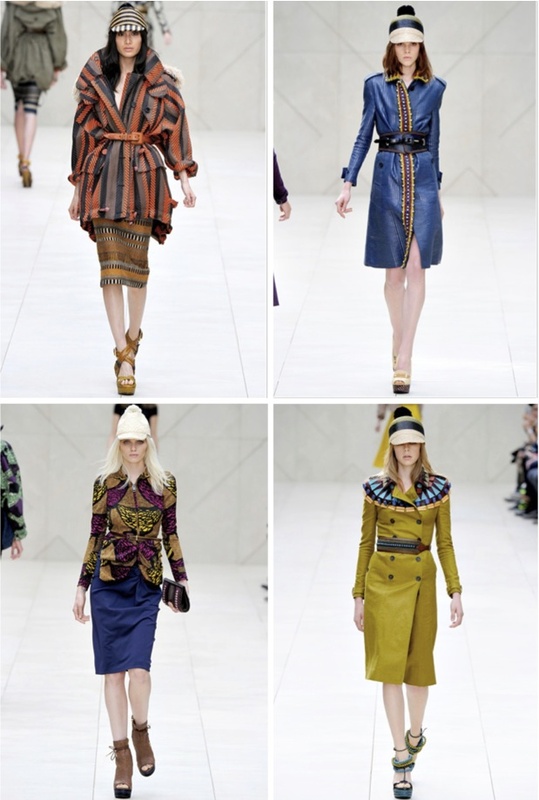 And while I can't afford anything in the Burberry collection, it still leaves me feeling uplifted and inspired. Definitely a success! i agree! 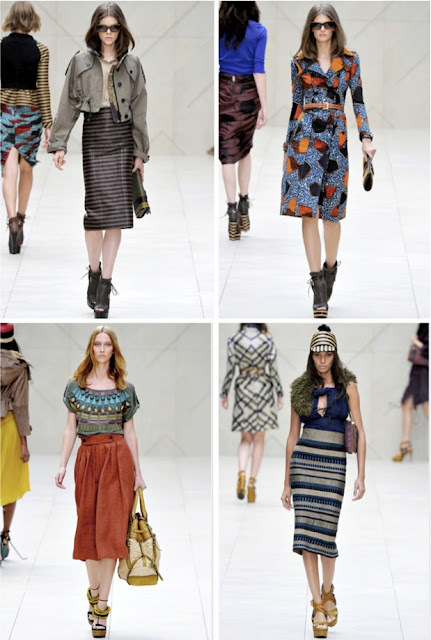 i really like this line..
it IS a lot of fun...the striped skirts are great!